An integral part of Xerox's simple, intuitive supplies system, featuring interlocking ink shapes and a unique numbering system, making the ink loading process easy. 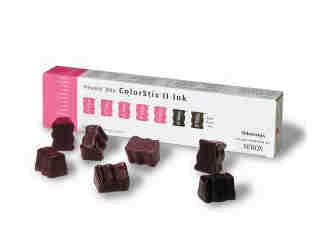 The new high-performance solid ink formulations deliver brilliant color and razor-sharp text every time. Expect only the best from Xerox printers and genuine Xerox supplies, they're Made for Each Other.